Knowledgeable medical provider with warm bedside manner. He immediately made me feel at ease, while instilling confidence in his ability. I felt heard and was educated on new options which I had not considered. I highly recommend Dr. Itam. Dr. Itam always displays genuine concern. Also, his bedside manners are the best that I’ve ever experienced! 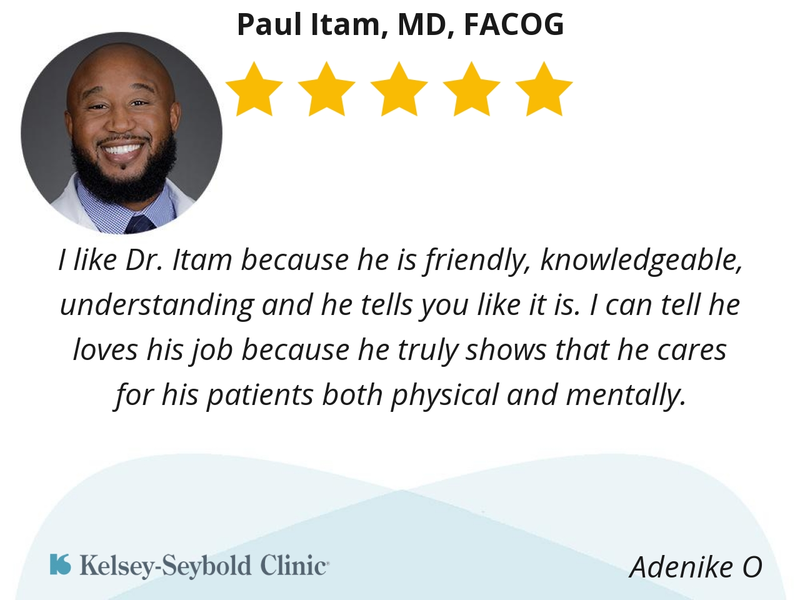 Dr. Itam is highly intelligent, passionate about his job, and extremely personable. This combination of characteristics are rare. 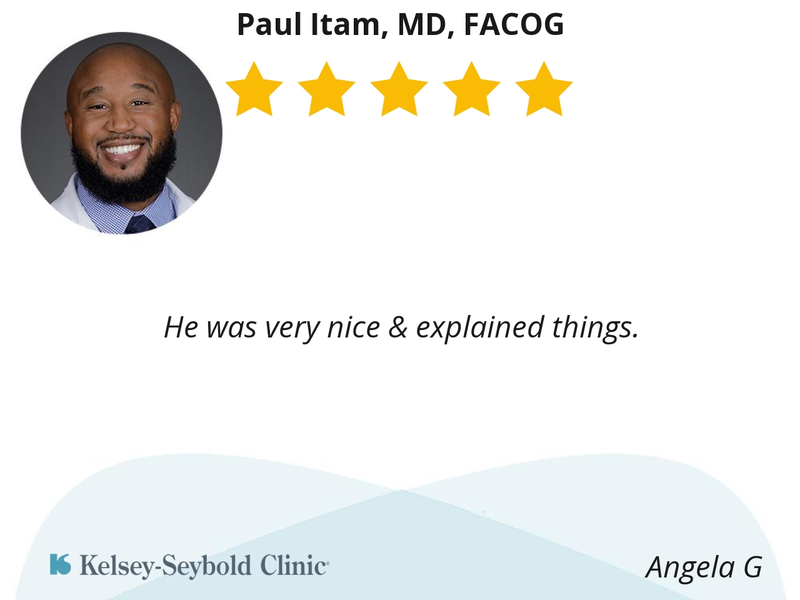 Every time we have met with Dr. Itam he has taken his time to speak with us about our appointment as well as our overall well being. He made us feel as if we were friends and that he truly cares about us as individuals. He is by far the best doctor i have ever had. My husband and I always talk about how wonderful Dr. Itam is as we walk out of every appointment. We truly feel blessed to of had such a wonderful doctor throughout my pregnancy and cesarean delivery. He has great bedside manner. 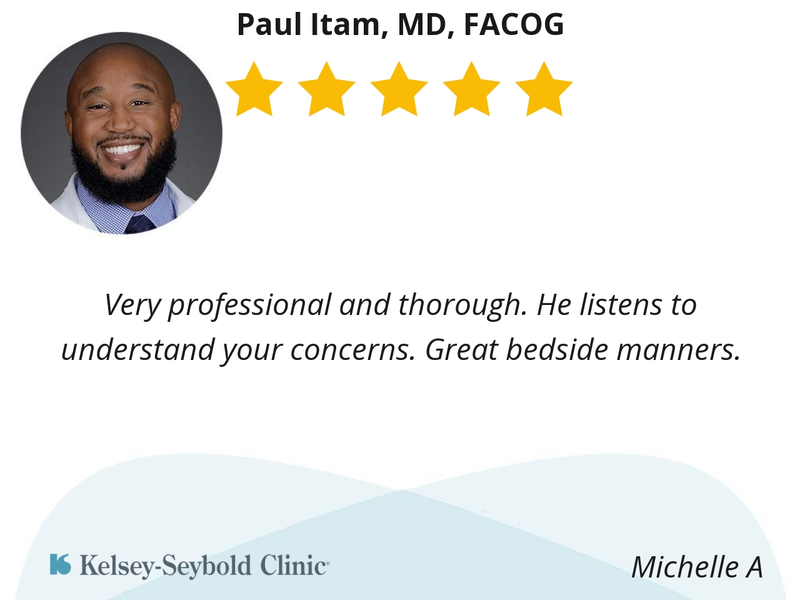 He is personable and truly cares about his patients. Dr Itam is so awesome! He makes me feel comfortable and is very professional. Keep up the good work! Very professional and thorough. He listens to understand your concerns. Great bedside manners. Very professional. Easy to talk to and always have the best solution to any and every problem I ever had. Very relatable. I’m still shocked he came & got me from the waiting area to check me in, literally he checked my weight lol. He was super fast! & got straight to the point all while still having great bed side manners. I will definitely return to him in the future! 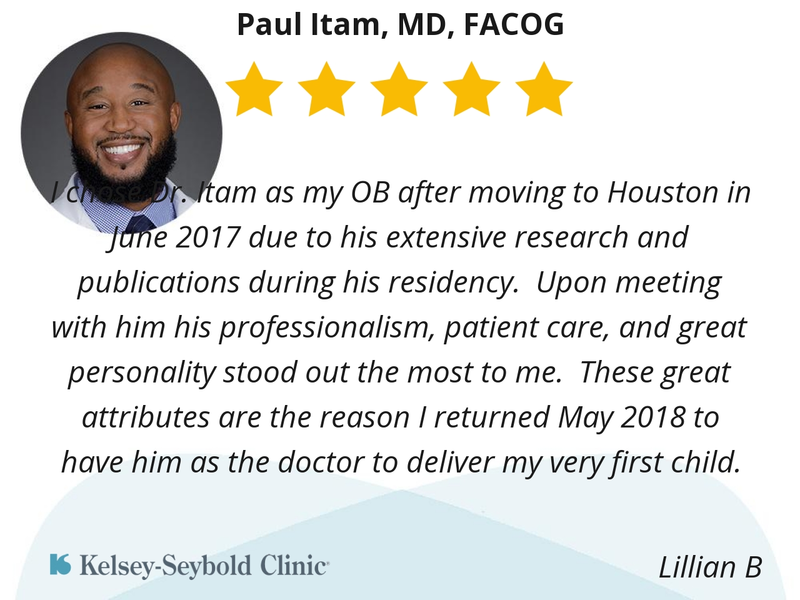 I chose Dr. Itam as my OB after moving to Houston in June 2017 due to his extensive research and publications during his residency. Upon meeting with him his professionalism, patient care, and great personality stood out the most to me. These great attributes are the reason I returned May 2018 to have him as the doctor to deliver my very first child. He was very nice & explained things. I like Dr. Itam very much . 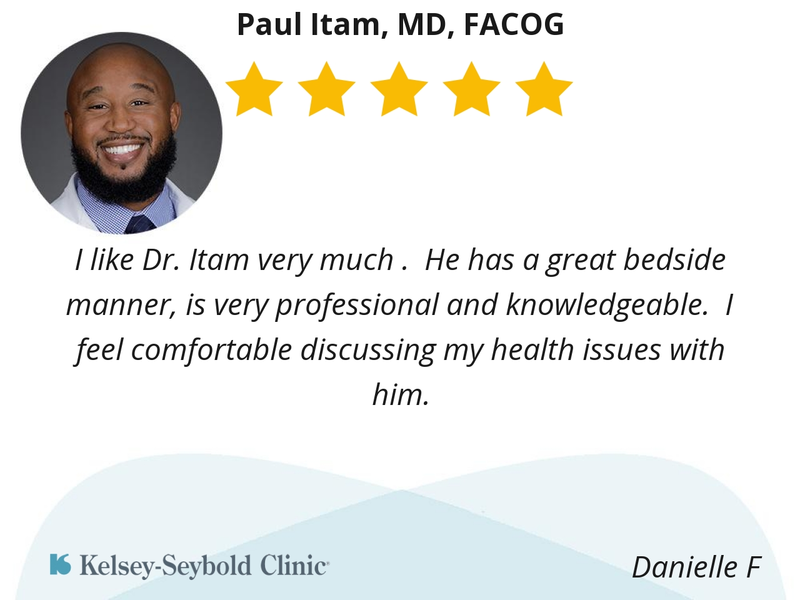 He has a great bedside manner, is very professional and knowledgeable. I feel comfortable discussing my health issues with him. He listens to you, he is positive (always smiling and makes you feel welcomed) he makes you feel like he really cares. He explains explains everything to you as the procedure is being done. I really like how he makes sure you’re comfortable and he gets you in and out! I totally recommend Dr.Itam! 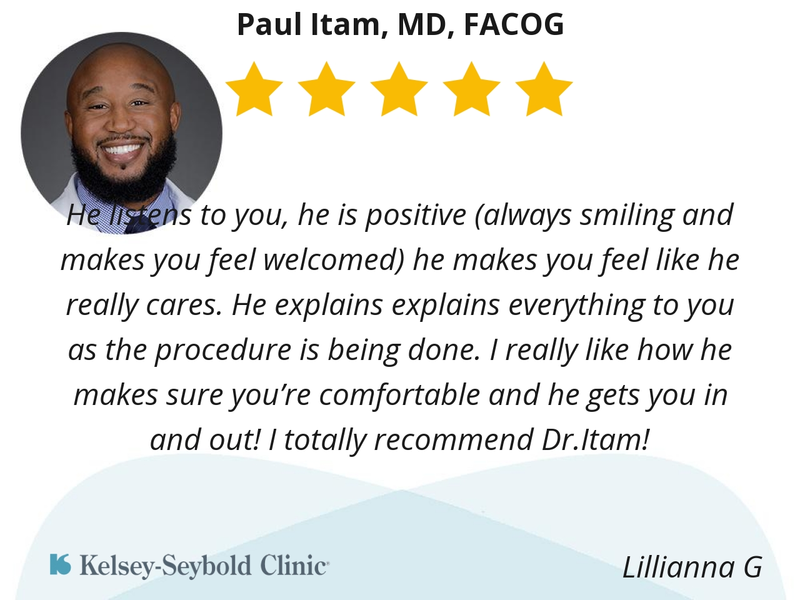 I like Dr. Itam because he is friendly, knowledgeable, understanding and he tells you like it is. I can tell he loves his job because he truly shows that he cares for his patients both physical and mentally. Very thorough, friendly, and answered all my questions without rushing out of the room. The front desk, nurse and doctor made my visit a great experience. Dr Itam was very caring and professional. He immediately put me at ease with his demeanor and tone. His examination was thorough. He validated my health concerns even though I was completely wrong with my assumptions. I was very happy with my experience. Staff at Kelsey Seybold also provided exceptional service. This was my first visit to this location and it was a great first impression. I will be back! Took the necessary time to explain options. Answered questions. Very personable. Easy to talk to. Enjoyed the care I got. 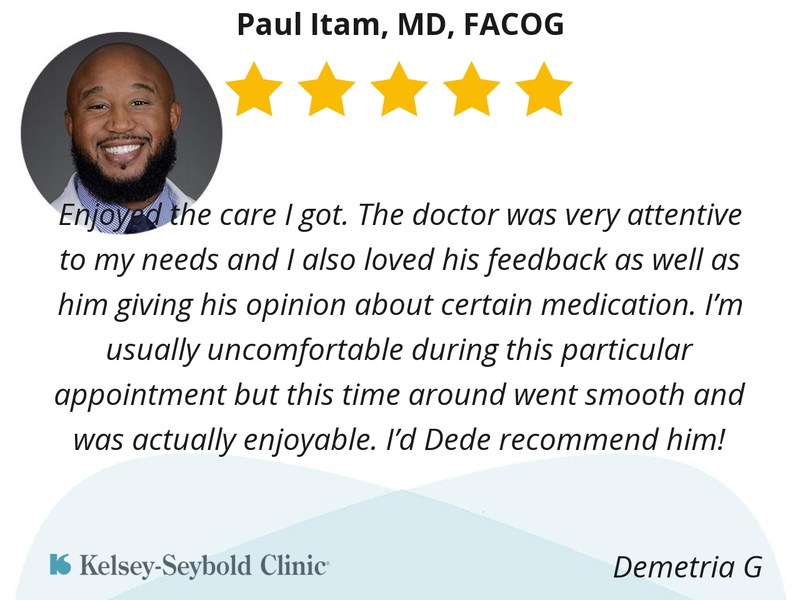 The doctor was very attentive to my needs and I also loved his feedback as well as him giving his opinion about certain medication. I’m usually uncomfortable during this particular appointment but this time around went smooth and was actually enjoyable. I’d Dede recommend him!